Guesthouse Lyngholt is located in the upper half of the village, close to the swimming pool. The guesthouse is in a old house which was recently renovated. There´s a tv in every room. The five bedrooms on the second floor share one bathroom. And the three bedrooms on the 1st floor share one bathroom. Guests have access to kitchen facilities and an outdoor barbeque. Excellent location for birdwatchers, hikers and nature lovers. 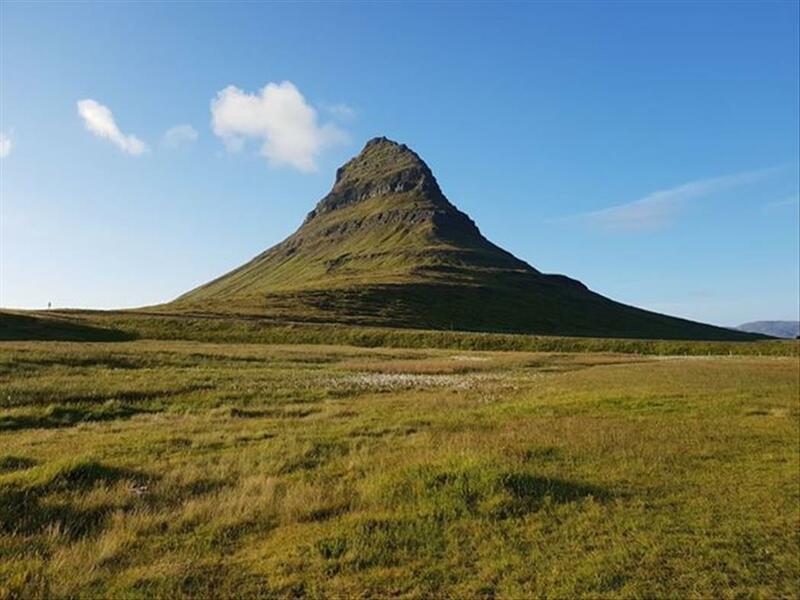 Only a few minute drive to Langanes and Rauðanes. 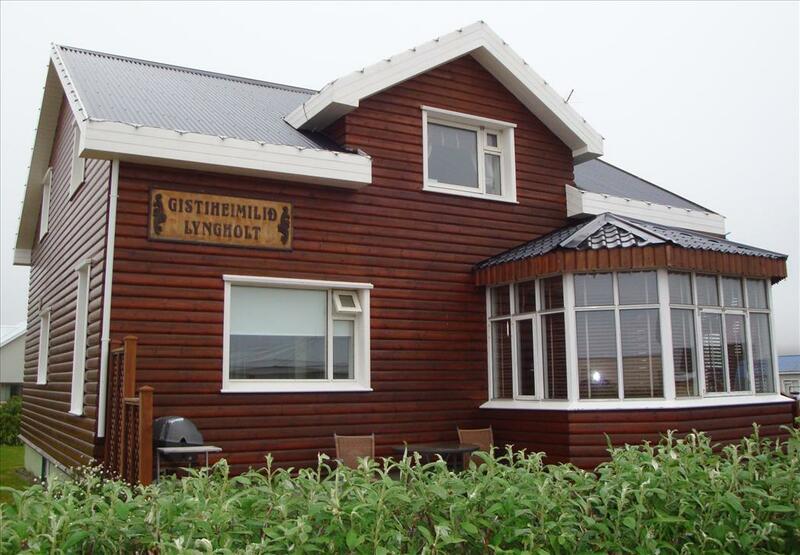 Guesthouse Lyngholt was first opened in 1999, owners are Karen Rut Konrads and Olafur Birgir Vigfusson. The guesthouse has been fully renovated, all facilities are comfortable and designed to make our guests feel at home. In Lyngholt are 9 bedrooms, all of different size and look. Total of 15 beds. 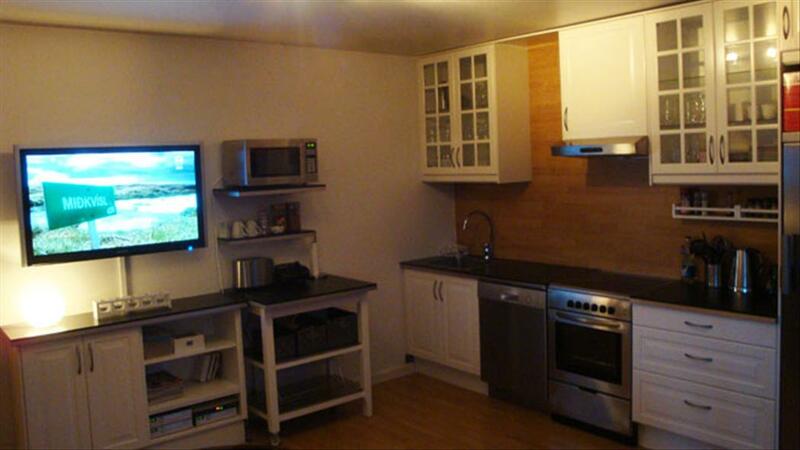 Guests have acess to kitchenfacility, laundryroom, wireless internet and there is a tv in every room. We have opened new apartment which is the 2nd floor of the police station. 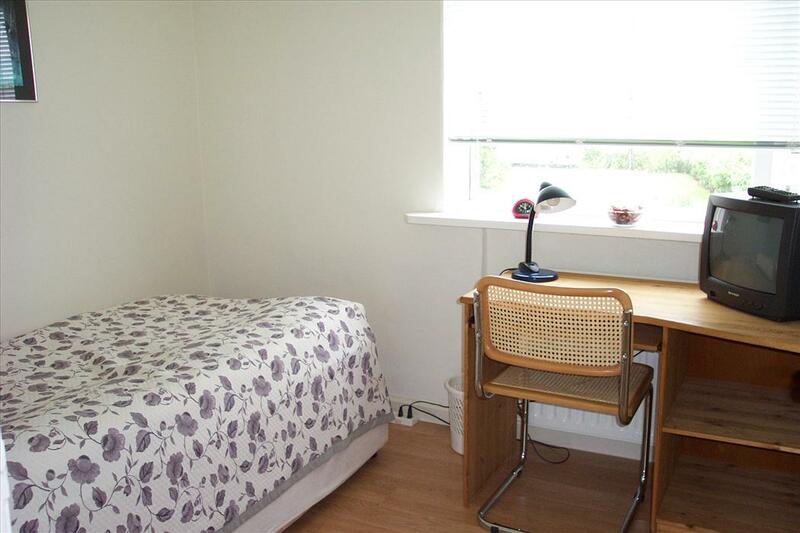 There is 6 rooms and 2 bathrooms, WiFI in ther living room, good kitchenfacility and laundryroom. Lyngholt guesthouse – Langanesvegur 12, Þórshöfn – North Iceland.